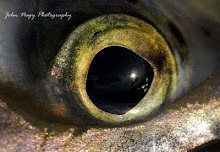 <In Ohio, the second phase of an angler creel survey by the Ohio Division of Wildlife and Ohio State University was completed in May 2010. The survey was conducted from the fall of 2008 through the spring of 2010 on Ohio’s Lake Erie steelhead tributaries and access points. 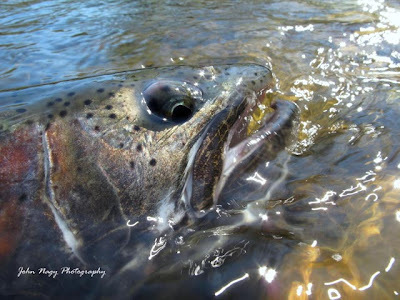 Survey results showed catch rates had dropped to .354 steelhead per angler hour (which is still comparable to steelhead fisheries in other areas of the Great Lakes) with 89% of steelhead caught by anglers released. <The 100 year old Harpersfield Dam on the Grand River in Ohio is undergoing a feasibility study (funded by Great Lakes Restoration Initiative funds). The US Army Corps of Engineers (USACE) study is part of the Great Lakes Fishery & Ecosystem Restoration (GLFER) program whose goal is the restoration of the fisheries and other critical elements of the Great Lakes ecosystems. The primary focus of GLFER is restoration of fisheries habitat and related ecosystem elements through structural projects. <According to the USACE the Harpersfield Dam has promoted habitat degradation, altered sediment transport dynamics, and degraded water supply. It has also played a central role in the decline of migratory aquatic species, although sea lamprey prevention (which are at record levels right now) outweighs the negative impact the dam has on fish passage. <Likely project alternatives include repairing or modifying the existing dam to maintain its current structure (which effectively prevents sea lamprey passage), construction of a sea lamprey trap at the existing dam or construction of a new barrier and trap at a location farther downstream of the dam (which would also include removal of the old dam). <A public meeting was held on September 22, 2011 by the USACE (at the Harpersfield Community Center) which presented all the options available in the dam feasibility study. <Dan Pribanic’s Chagrin River Outfitters in Chagrin Falls, OH will be having a Shop Day (Saturday, October 8th) featuring several steelhead experts including Brett McCrea, Jerry Darkes, Jeff Liskay and Greg Senyo. Please visit:http://chagrinriveroutfitters.com/events.htm for more details. <On 4 Mile Creek, the Pennsylvania Fish & Boat Commission (PF&BC) has nearly completed a four foot wide bypass around a waterfall (which is 500 feet above the Lawrence Park Golf Club Dam and fish ladder). Once finished (scheduled to be completed in early October 2011) it will allow steelhead to move upstream and create new steelhead fishing opportunities. <Public fishing access areas above the bypass include the Lawrence Park Township Napier Park, the Wesleyville Borough Cumberland Park and the Penn State Behrend Campus Area (also known as the Wintergreen Gorge). The PF&BC will be making improvements to parking and trails on the upper sections of 4 Mile Creek and also purchasing public fishing easements through the PF&BC Lake Erie Access Improvement Program. <With a $30,000 grant, the PF&BC along with Mill Creek Township and volunteers from the Pennsylvania Steelhead Association and the S.O.N.S. of Lake Erie, completed work to improve fish habitat on Walnut Creek. The work was done at Mill Creek Township’s Cassidy Park (located at the intersection of Zimmerly and Love Roads) this past August. The goal of the project was to install stream improvement devices to create new pools and stabilize bank areas in that section of Walnut Creek (which is basically featureless and does not hold many steelhead). <In New York, the USGS real time water gage for Cattaraugus Creek (http://waterdata.usgs.gov/ny/nwis/uv?04213500) has been updated to show, in addition to water discharge and height, both turbidity and temperature. The water data will also now be updated every hour versus every 4 hours with the old gage. Below 50 FNU units on the turbidity graph is ideal clarity for the Cat. <The town of Westfield, NY is presently working on a construction easements for the Chautauqua Creek Dam Modification Project (which is a GLFER project). As of September 2011, there are 1 or 2 private landowners (out of a total of 6) that have not agreed to the easement. Because of this delay, construction work for modifying two low level dams on Chautauqua Creek is scheduled for the summer of 2012. Michael Greer of The United State Army Corp. of Engineers (USACE) says that design and funding for this project is complete with construction bidding ready to take place as soon as the easements are finalized. <Michael Greer also relates that the feasibility study for the Cattaraugus Creek Restoration Project (another GLFER project) is still ongoing. Results of the study will determine whether to remove, modify and/or repair the Springville Dam on Cattaraugus Creek. <Presently sediment samples are being taken directly below the Springville Dam by the USACE to check for possible contaminants. Specifically, nuclear contaminants deposited from the defunct West Valley Nuclear Reprocessing Facility located 8 miles above the dam (which is now being decommissioned by the Department of Energy). If the dam is removed, any contaminate deposits will have to be removed (prior to dam removal) to prevent them from washing down river. Significant deposits are unlikely but according to the USACE it needs to be checked. Federal funding for the final phase of the feasibility study by the USACE is still up in the air, which may delay completing the study in the future. Three day license/$25, season license (Jan. 1 to Dec. 31)/$45. Also, the steelhead limit has been lowered from 5 to 3 by the Seneca Nation and guiding by non-Seneca’s is strictly forbidden on the reservation. 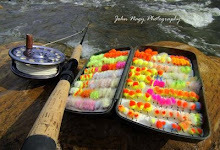 <More detailed information on steelhead fishing in the Lake Erie region can be found in John Nagy’s book “Steelhead Guide, Fly Fishing Techniques and Strategies for Lake Erie Steelhead”. 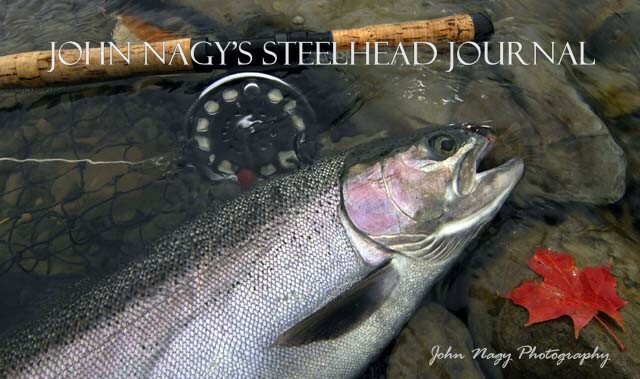 Look for John Nagy’s new book the “Steelheader’s Journal” coming out in February 2012.